The Bay area loves a bar crawl, and why not? A fun way to see new places and meet cool people while getting a bit of exercise sounds perfect! Here's your handy list of upcoming bar crawl events in the St. Petersburg area. Before you head out for a night bar crawling, though, remember to designate a driver, load a ride-sharing app on your phone, or call a taxi. Do whatever you have to do, but please drink responsibly! Everyone's a little bit Irish on St. Patrick's Day weekend! Join the revelry on Saturday, March 16 from 11 a.m. to 7 p.m. starting at the Crafty Squirrel, conveniently located in the center of Downtown St. Petersburg. This annual jaunt through some of St. Petersburg's best watering holes is sure to be a good time. Wear your green and grab your gang, and get your tickets now! Love tacos? How about margaritas, beer, or tequila? If you said, "Hell, yes!" Then this is the crawl for you. Starting at high noon on Saturday, April 6 at Park & Rec, the Taco and Tequila Crawl will lead you and your friends on a glorious adventure through some of Downtown St. Petersburg's most fun bars, eateries, and taquerias. Each ticket comes with four tacos, a signature beer koozie, and exclusive drink specials at each stop along the route. The stops on this bar crawl include The Avenue Eat + Drink, Thirsty First, Del Mar Gastro Lounge, and many more. Hosted by BarCrawl Nation on Saturday, June 8, this brunch-centric bar crawl features prizes at every stop, exclusive tasty brunch specials, and more mimosas and Bloody Marys than you can shake a stick at! Venues include Park & Rec, The Avenue Eat + Drink, Caddy's on Central, Five Bucks Drinkery, and bunches more. Be sure to get your tickets now because attendance is limited! Attention, all witches, wizards, and muggles: here's your chance to hobnob with loads of other magical folk and celebrate wizardry with tasty potions! On Saturday, September 28, check-in begins at 6 p.m. at Thirsty First on First Avenue North in Downtown St. Petersburg. General admission includes your very own wand, House assignment, themed drink specials, and priority access, but if you're feeling fancy, spring for the VIP ticket, which also includes a souvenir t-shirt, an extra hour of partying, House lanyard, and plenty of other surprises and perks. This year's Bike Fest is happening November 20-24, and each night of the event features a beach bar crawl from 10 p.m. to 2 a.m. Each participating bar is walking distance from the TradeWinds Island Grand Resort, and includes a variety of fun local establishments, such as Bongos Beach Bar & Grille, Harry's Beach Bar (the oldest waterfront beach bar in St. Petersburg), Toasted Monkey Beachbar and Sportsgrill, and several other beachside drinkeries full of high spirits. This is an unstructured crawl, so enjoy the fun all in one evening or spread it out each night during the event. Enjoy some "cheers!" 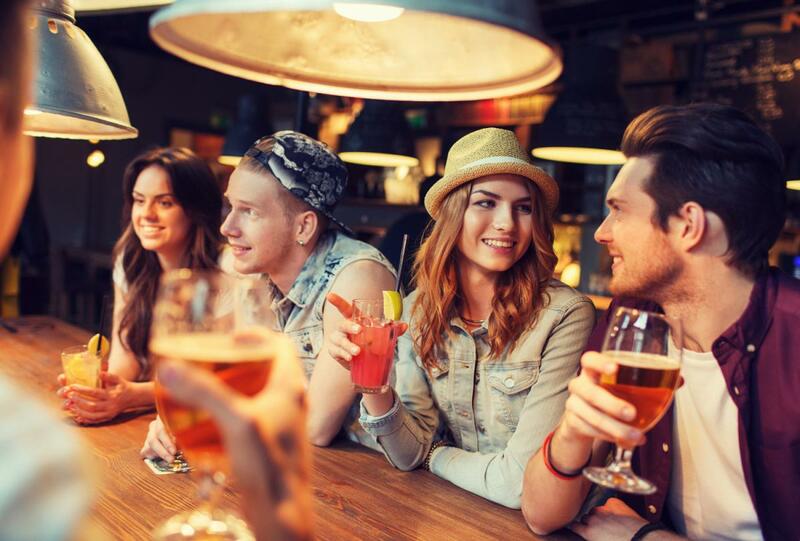 throughout the year with these fun bar crawls in St. Petersburg! Find more events in St. Petersburg by registering on 727area, your free local guide to the St. Petersburg and Clearwater area.